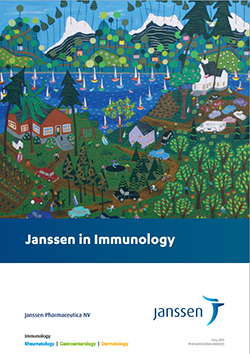 Read our Janssen in immunology leaflet to learn more about our commitment to immunology. A Psoriasis White Paper, which addresses the under-treatment of psoriasis in Europe and provides a framework for action, has been published in the Journal of the European Academy of Dermatology and Venereology (JEADV). Authored by the European Expert Working Group for Healthcare in Psoriasis (EEWGHP) and financially supported by Janssen, this Psoriasis White Paper entitled ‘A framework for improving the quality of care for people with psoriasis’ is a key milestone for treatment in the disease area.